Myanmar’s New President Prepared for Crucial Role - Integration Through Media ....! 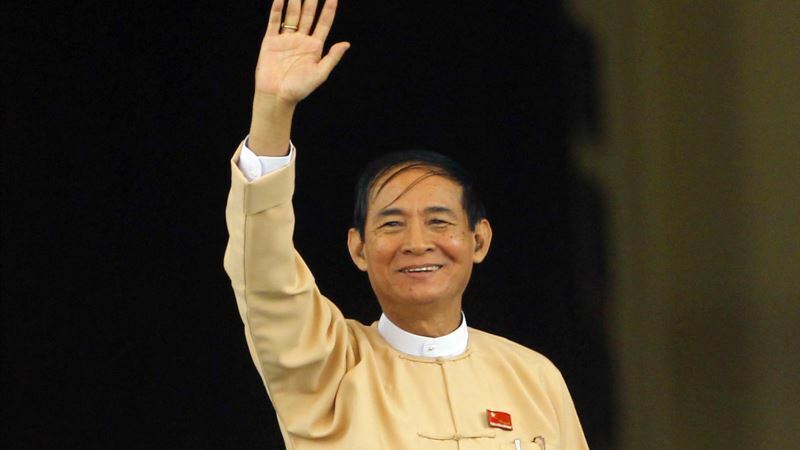 (VOA): The elevation of Win Myint to Myanmar’s presidency has been seen as a positive step in dealing with what some regard as a power vacuum behind Aung San Suu Kyi within the ruling National League for Democracy. Former Lower House speaker Win Myint, 66, was sworn in as Myanmar’s new president on March 30, replacing Htin Kyaw, who stepped down a week earlier citing the need to rest. Although its domestic popularity remains high, since coming to power in March 2016 the NLD has made little progress on its campaign promises, which included tackling the peace process, boosting the economy and amending the military-drafted 2008 constitution. A major criticism has been the lack of leaders behind State Counsellor Aung San Suu Kyi, 73, but analysts believe the promotion of Win Myint to the presidency could inject new energy into the administration. In his role as lower house speaker, Win Myint developed a reputation for not shying from conflict. On more than one occasion he openly criticized military-linked lawmakers, and removed another NLD MP from parliament for not adhering to strict rules regarding uniform. In his inauguration speech, Win Myint spoke of the need for human rights and a free press, and also promised to tackle corruption, as well as tackle the constitution. Mathieson said Win Myint offers a potential “generational change” within the party. “He’s an interesting choice. He’s a total [NLD] loyalist. And he’s an experienced politician. As speaker of the house, he showed he was willing to stand up to the military,” said Mathieson. “It’s all speculation right now, but the signs are that he’s going to take over a more day-to-day presidential authority,” he added. Political analyst Sai Wansai agreed the move could potentially be a positive step, but was skeptical about the impact it could have on the 2020 election. “It depends on how the NLD tackles the peace process and constitutional amendment. If there is sizable progress, the NLD might be able to woo back some of its traditional electorate, but if not the outcome will be disappointing,” he said. In March, the NLD announced a new Central Executive Committee, and two of the new additions included Win Myint and Zaw Myint Maung, who is chief minister of the Mandalay Region. Nay Yan Oo, a research fellow at the Pacific Forum of Center for Strategic and International Studies, argued they are two figures who could be potential leaders of the party in the future. “However, I’m concerned about the possibility of the NLD splitting in many factions in the post-Aung San Suu Kyi era,” said Nay Yan Oo. “Given the fact Burmese political culture encourages factionalism in political organizations, it is possible to see NLD factions fighting against each other in the future,” he said, adding that the lack of a clear leader behind Aung San Suu Kyi made the NLD more vulnerable. Nay Yan Oo also warned of potential conflict between the NLD and the military over Win Myint’s appointment, citing his occasional criticism of military MPs in parliament. “Some tensions have already been built between the incoming president and the Tatmadaw (Army),” he said.